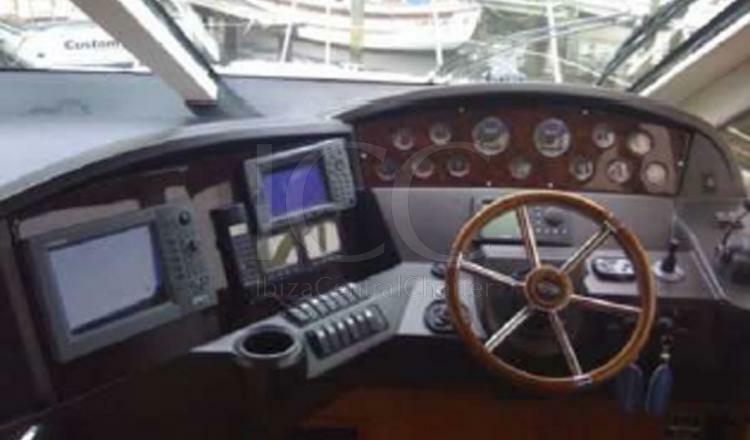 Open sporty yacht ideal to navigate the waters of Ibiza and Formentera. SUNSEEKER MANHATTAN 60 is one of the best options to rent in Ibiza and Formentera with a length of more than 19 meters and offers ample interior and exterior spaces. 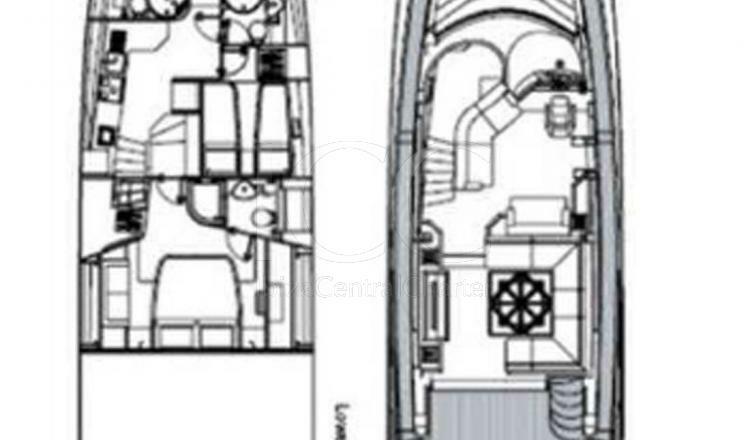 This yacht offers comfort and livability in its 3 fully equipped cabins and 2 bathrooms. It also has space for up to 12 people on day outings and attention of a professional crew. In the outdoor area there are a few sofas where you can relax and enjoy the waves of these Mediterranean waters and a few tables to eat outdoors in perfect company. 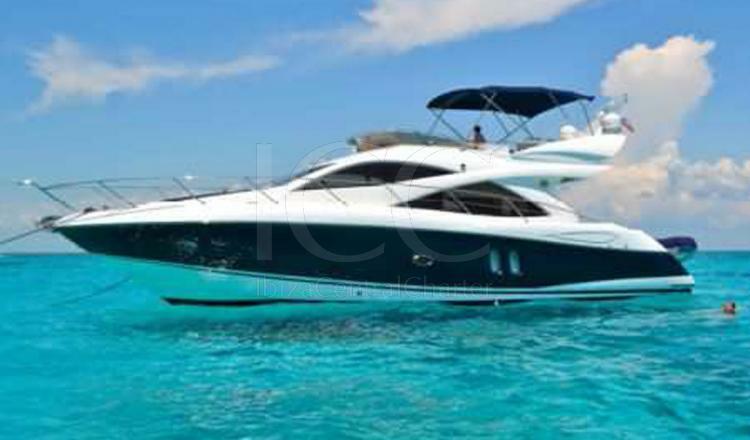 It is the yacht that you'll want for an exciting and compelling holiday in Ibiza and Formentera.